Jay Cutler's college teammate (Seriously!) Earl Bennett has worked his way into the clothing game with this line of occasionally Bears-colored tees featuring various sport-y sayings like "Let's Work!" 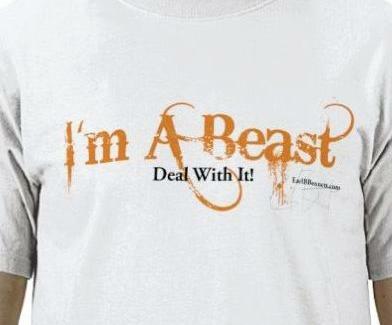 and "I'm a Beast. Deal With It! ", though the real beast is dealing with him as a starter on your fantasy team.